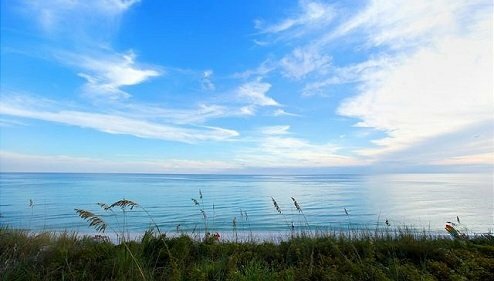 Traveling to 30A, Florida, is a fabulous experience for your senses. Your eyes can marvel at the beautiful landscape while your ears listen to the smooth swell of the waves. Now, all you need is some food to please your taste buds! Enjoy delicious seafood and other Gulf specialties at our favorite Blue Mountain Beach restaurants. Each offers a variety of entrees that are sure to please even the pickiest members of your group! Read on to learn more about these fabulous eateries and start planning your visit today. Our free Vacation Guide is the perfect tool for your trip and features top attractions, shops, events, museums, and outdoor activities! Blue Mountain Beach is a wonderful spot near Adagio where you can experience local culture. It’s also known as the highest point in 30A! The name “Blue Mountain Beach” name comes from the fields of lupine flowers that grow on the surrounding hills. Take a day to explore and stop at these three delicious restaurants near Blue Mountain Beach for a bite! Are you a fan of oysters? Shunk Gulley will be your favorite spot! The casual, laid-back atmosphere is perfect for those seeking a great beach restaurant. Taste classic coastal cuisine and enjoy some live music in the panoramic bar area. For dinner, we highly recommend the garlic parmesan oysters and shrimp and crab soup. Make sure you leave some room for dessert; the key lime pie is to die for! Trebeache draws a younger crowd. It’s the place to be for happy hour and offers a brunch menu you can’t resist. During the week, discover a variety of unique specials that change with the seasons. Famous entrees include the au jus burger, truffle fries, blue crab and grilled avocado cocktail, oyster platters, crawfish queso, and the potato-wrapped grouper! Cafe Thirty-A is a trendy cafe right on the scenic 30A highway. You can hardly miss it! Opened in 1995, this restaurant is a popular spot for dinner dates and stylish nights out. You can eat amazing food in a joyful atmosphere that will make you feel right at home! The menu features seafood classics with a modern twist, like sesame-crusted yellowfin tuna, lobster truffle mac ’n cheese, and shrimp linguini with white wine butter. Cafe Thirty-A also offers a top-notch wine list, so don’t hesitate to order a glass or a bottle! Come back to your amazing Adagio vacation rental after a delicious meal at one of these Blue Mountain Beach restaurants! Our units are beautiful and comfortable. 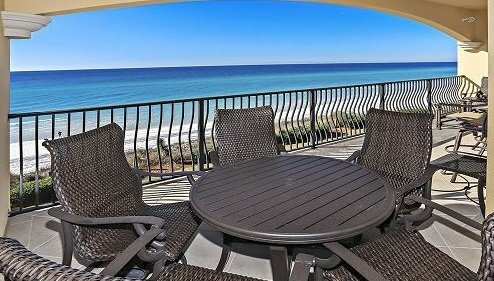 You can experience an elegant atmosphShre, modern amenities, and breathtaking views of the ocean all in one place! 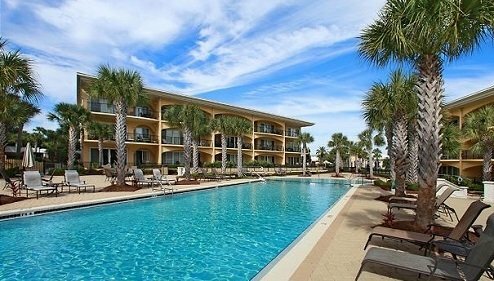 Browse our selection of apartments to see which one you prefer! Take a look at our Adagio D-205 unit. This condo sleeps up to eight people and offers a jetted tub to spend a relaxing evening in! If you’re looking for something more intimate and romantic, we’ve got you covered! Adagio E-202 has all the charm and space you need for a couple’s retreat. 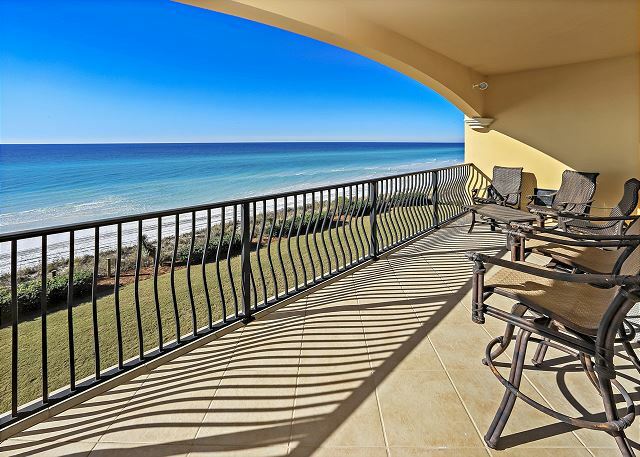 Best of all, it’s close to all the best 30A beaches, including Blue Mountain!